The Patient Protection and Affordable Care Act (AKA ObamaCare or Healthcare Exchange) begins January 2014. 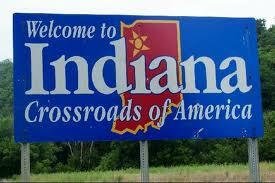 If you live in Indiana are you prepared for the changes? We’ve compiled a list of what you must know. 1) Indiana residents, with few exceptions, must purchase health insurance or face a penalty by federal law. To learn about penalties and/or to learn if you are read the article Affordable Care Act: Penalties for the Uninsured. 2) Under the new Healthcare Exchange preexisting conditions do not preclude any person in Indiana from obtaining health coverage. To learn more about guaranteed coverage read the article ObamaCare: Guaranteed Issuance for Everyone. 3) Currently 16% of IN residents are uninsured, approximately 94% of those will qualify for a federal subsidy to help with health insurance monthly premiums. To find out if you are eligible for a federal subsidy read the article Health Care Exchange Subsidies: Do You Qualify? 4) The initial open enrollment period for ObamaCare is October 1, 2013 to March 31, 2014. For assistance signing up call 800.930.7956 extension 0. To learn more about ObamaCare and how it affects Indiana contact Medicoverage: ObamaCare Indiana.